Cocos Keeling Islands is an Australian Territory located in the Indian Ocean approximately mid-way between Australia and Sri Lanka. Consisting of two atolls and 27 coral islands, and defines that mental image of absolute paradise – a faraway, deserted island of warm, golden beaches, fringed with coconut trees and a turquoise, tranquil lagoon. It’s very relaxing diving the Cocos Keeling Islands. Cocos (Keeling) Islands (CKI) is an Australian Territory located in the Indian Ocean approximately mid-way between Australia and Sri Lanka. It consists of two atolls and 27 coral islands, and defines that mental image of absolute paradise – a faraway, deserted island of warm, golden beaches, fringed with coconut trees and a turquoise, tranquil lagoon. It’s very relaxing diving the Cocos Keeling Islands. Cologne Gardens: a classic 9 to 11 m reef top with the drop off to about 36 m where all the best gorgonians are. Frequented by a host of batfish just drifting gently through the marine scape. Cables: quite a lot of stuff has been dumped in the lagoon over the past 80 years. This particular site has some of the cabling and gear from the old cabling station, (Cocos Keeling Island was a telegraph relay station during the wars); other bits look like the hull of an old shack. Cannons: named after the six cannons which are rusted together in two separate clusters on the seabed. (The theory is that these cannons were probably used as ballast in wooden ships making the journey out to Cocos; but not required on the way back as the boat would be loaded with coconuts). 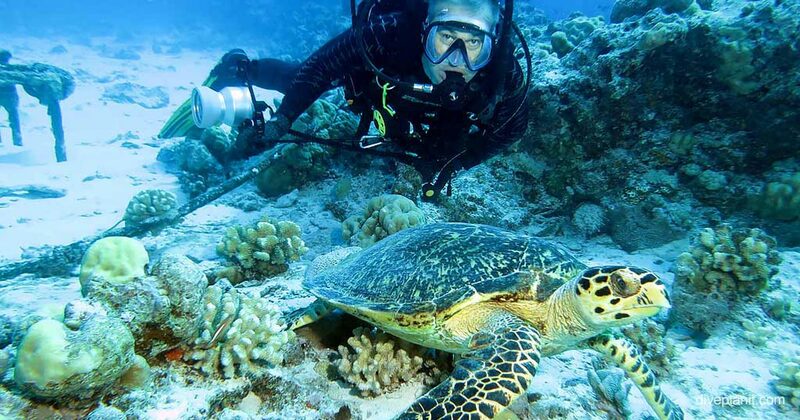 Once you’ve seen them you can move on to the amazing variety of fish and reef sharks. And there’s usually an unperturbed turtle to be seen there too. The Composite Wreck: called the ‘Composite’ wreck as its construction hails from a short period of time when ships were being constructed with a wooden skin on a metal frame. The wreck is about 40m long, laid in less than 6m of water and attracts a large amount of marine life. It makes the perfect snorkelling site. The Rip: not for the faint hearted – but perfectly safe – this is a drift snorkel (which can only be ridden (literally) on the right tide (unless you’re headed for the Maldives) which takes you over bump headed parrots and reef sharks in the gullies below. Service Station: a manta cleaning station in just 9m of clear water on a flat sandy bottom. This also became my favourite second dive of the day. If you’re thinking this might just be a dive destination you need to do a little more research on – here’s a link for more info. And it’s reasonably remote, with no chamber – so make sure you’re a DAN AP Member before you go.